Reliable, uninterrupted power is an important service provided by the world's electrical utilities. Tree experts such as Asplundh are contracted to provide clearance services to the utility industry, railroads, pipelines and departments of transportation to keep the power flowing for residents and businesses alike. As a full-service utility contractor, one is expected to perform tree pruning and removal, right-of-way clearing and maintenance, vegetation management with herbicides and emergency storm work in all types of weather and with sharp and powerful tools. The dynamic demands of this job requires a dynamic pair of safety gloves and boy did Superior Glove® really deliver on this one. 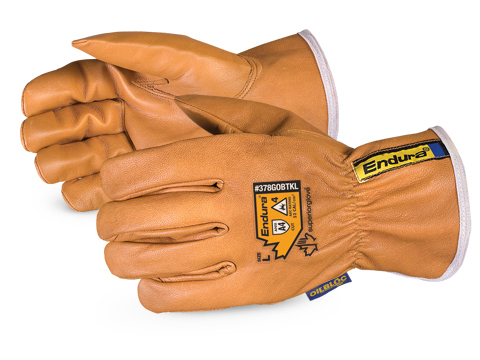 Check out this supple and durable 378GOBTKL Endura® Winter Driver Glove today!